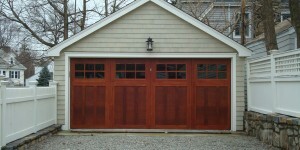 We specialize in all makes and models of garage door products. 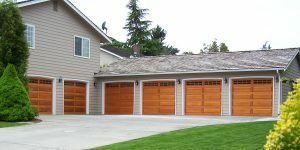 Do you need a garage door installed or serviced? 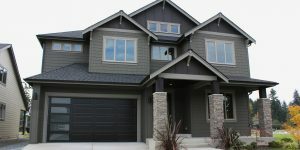 We are one of the best garage door service providers located in Bend, Oregon. Works with the MyQ app – Includes core features including the ability to check the status, control the door, and get activity alerts from anywhere. Linking MyQ to partner apps for more enhanced features such as voice control or location based garage door closing may require an accessory purchase or subscription fee. Subscription fee applies after 30-day free trial ends. 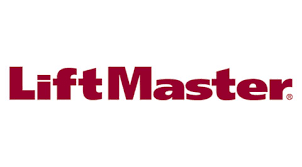 Visit liftmaster.com/workswithmyq for more details. 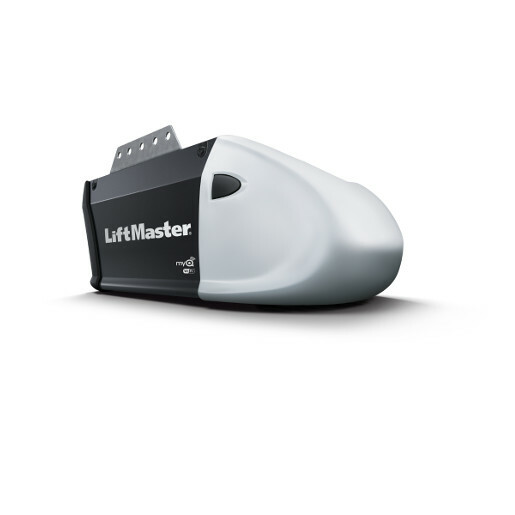 The ultimate garage access solution, designed to optimize space. 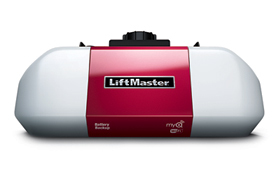 LiftMaster’s most advanced wall-mount opener optimizes garage ceiling space overhead, opening up possibilities to what your garage can become. 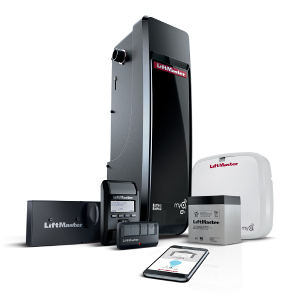 Fully equipped with must-have features including built in Wi-Fi® for smartphone control, MyQ® Remote LED light, Integrated Battery Backup and the Automatic Garage Door Lock. 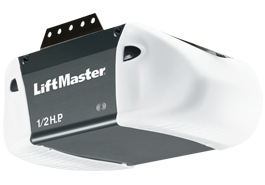 This ultra-powerful Elite Series Garage Door Opener is built to provide maximum power to lift the heaviest doors. 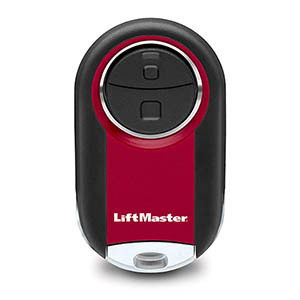 It comes fully equipped with Security+ 2.0®, MyQ® Technology and the Timer-to-Close feature. Works with MyQ which provides included core features, including controlling your garage door from anywhere and subscription-based partner integrations. 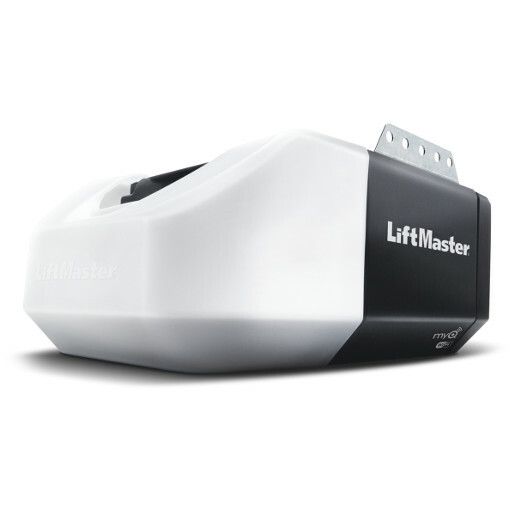 The LiftMaster 8360W is a Wi-Fi & smartphone garage door opener with DC battery backup capable. The 8360W provides reliable & energy efficient performance. 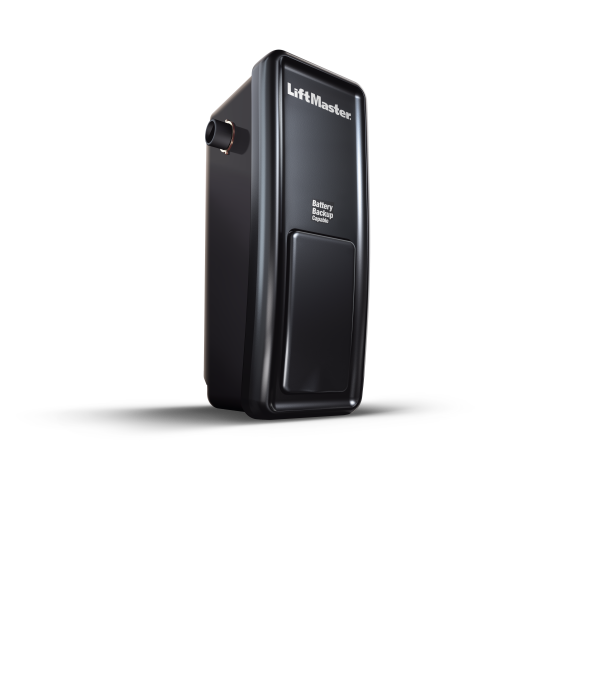 This Premium Series model provides industrial-strength performance, comes fully equipped with built in Wi-Fi®, Security+ 2.0® and MyQ® Technology. 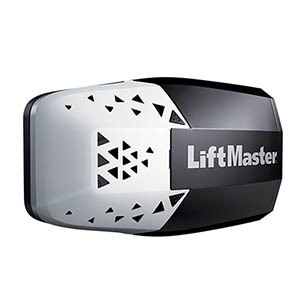 Add on accessories such as Battery Backup and the Automatic Garage Door Lock and you can trust this garage door opener to always keep loved ones safe and sound. Works with MyQ which provides included core features, including controlling your garage door from anywhere and subscription-based partner integrations. 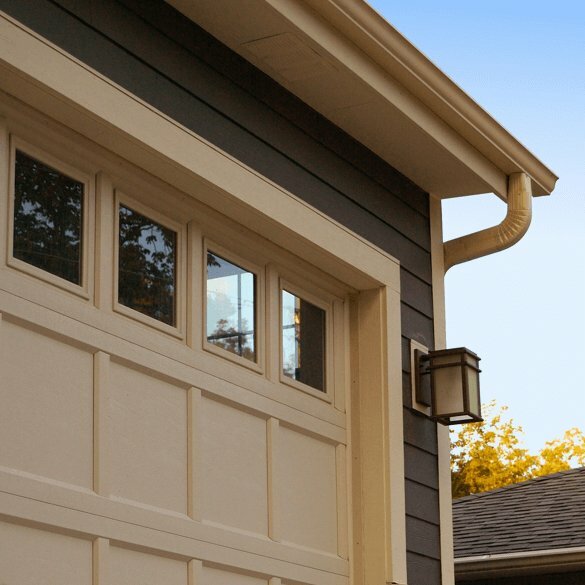 With its rugged reliability and exceptional all-around performance, the 8365W-267 1/2 HP AC Chain Drive Wi-Fi® Garage Door Opener is the perfect choice if you want enhanced style, reliability, and the performance attributes of our best-selling drive system ever. Works with MyQ which provides included core features, including controlling your garage door from anywhere and subscription-based partner integrations. 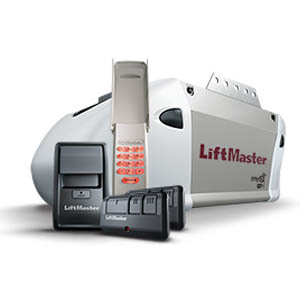 This Contractor Series Garage Door Opener is the ideal choice for dependable performance. Its durable 1/2 HP motor combined with an industrial-strength belt drive provide smooth, steady performance year after year. Works with MyQ which provides included core features, including controlling your garage door from anywhere and subscription-based partner integrations. 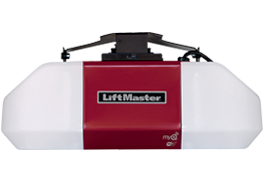 This model offers standard lifting power and steady performance with its durable 1/2 HP motor and chain drive. 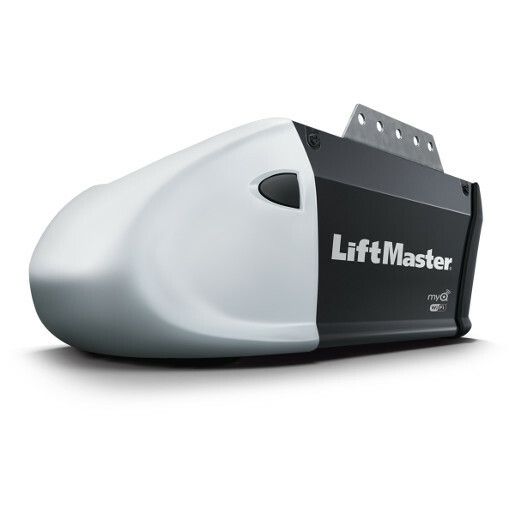 Discover the LiftMaster 8355W, a smart Wi-Fi garage door opener. 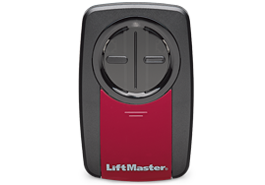 The 8355W is an energy efficient & reliable garage door opener with MyQ & Security 2.0+. 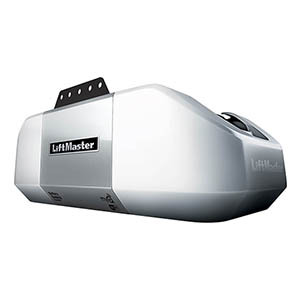 This Premium Series Garage Door Opener provides reliable, energy efficient performance year after year. The Motor Vibration Isolation System (MVIS®) provides quiet, smooth operation and comes fully equipped with Wi-Fi®, Security+ 2.0® and MyQ® Technology. Works with the MyQ app – Includes core features including the ability to check the status, control the door, and get activity alerts from anywhere. 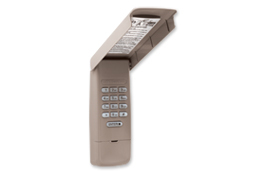 Our Universal Remote Control is compatible with 90% of residential garage door openers installed in North America and manufactured after 1993. 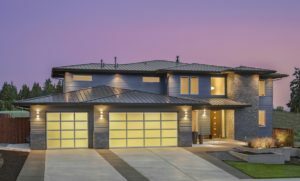 With this single-source solution, each household can effortlessly control multiple brands of garage door openers and gate operators. 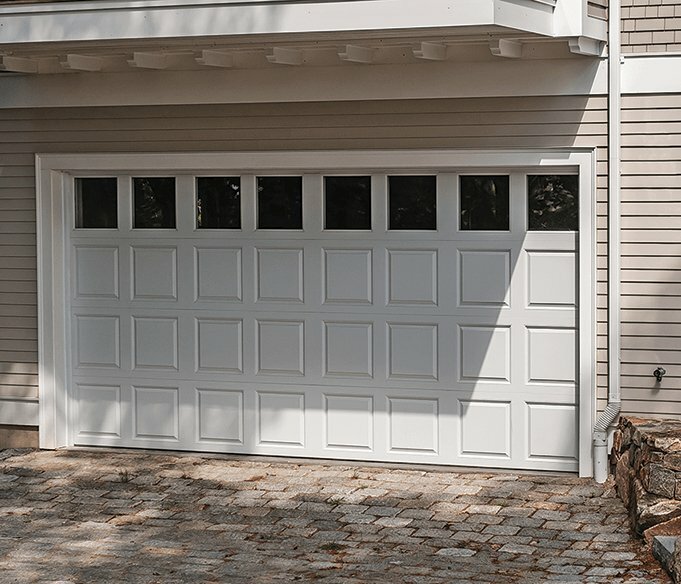 Now you can have the stylish appeal of a sleek and architecturally refined garage door, the Modern Classic™. 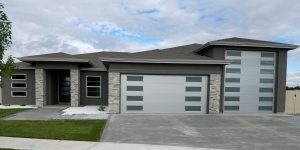 The Modern Classic is a true stile-and-rail garage door made with an all-aluminum construction. Panel widths and heights can be configured to meet your requirements. 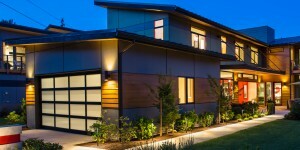 Choose from glass or aluminum panels and painted, anodized or wood grain powder coated finishes. Regardless of your choices, the Modern Classic’s beauty will last a lifetime and is virtually maintenance free. 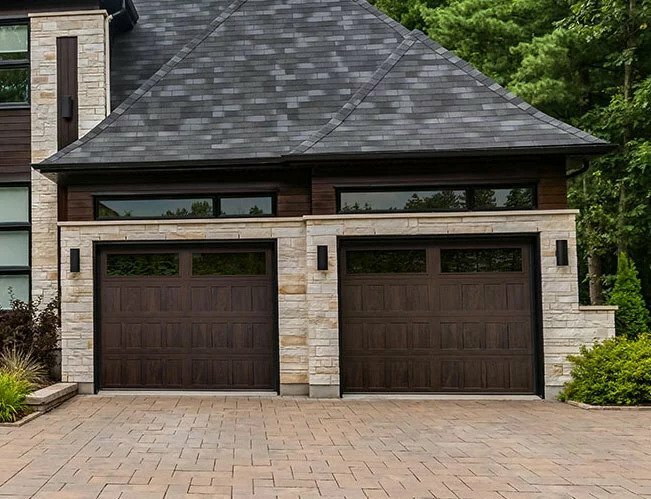 Therma Elite™ garage doors offer a luxurious appearance and are a hybrid garage door. 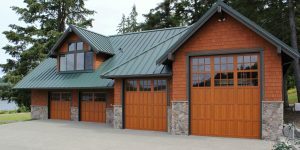 Using our insulated sandwich construction, Therma Tech II flush steel door sections; we apply precision cut Extira® composite wood overlay designs to create the largest selection of carriage style designs in the industry. These doors have an insulation value of 10.4 R, a Thermal Barrier Joint and are factory painted after assembly. 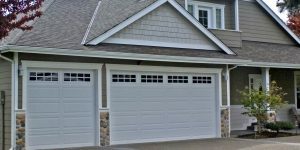 Unlike other overlay doors the Therma Elite maintains uniform dimensions of the overlay components regardless of the door size. 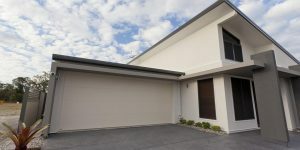 Over height and odd width doors are just as attractive as standard sizes. 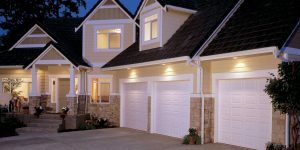 The Therma Classic™ is an insulated carriage house style steel garage door. 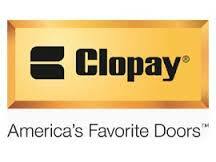 The Therma Classic simulates the look of old fashioned swing type doors and comes available in 90 attractive designs. 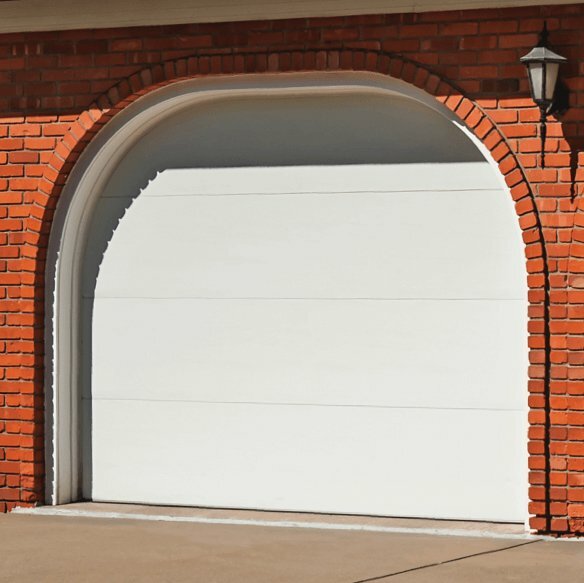 The design patterns are a deeper pattern than most steel garage doors – high definition. 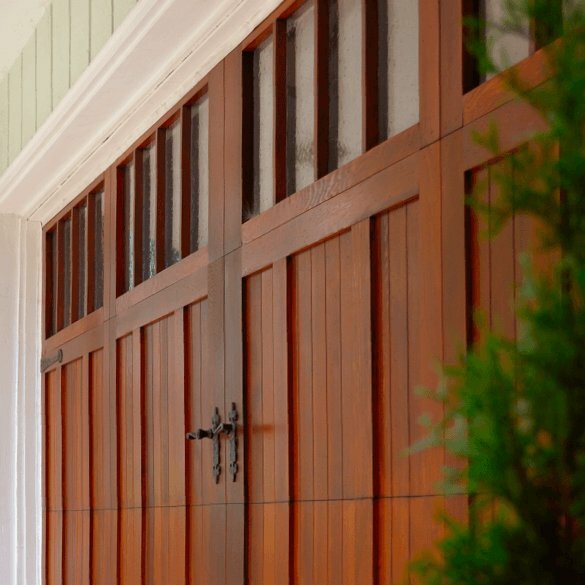 This makes the doors more visible from a distance thus enhancing a home’s curb appeal. It features a sandwich construction, flexible joint seal and natural Thermal Break. 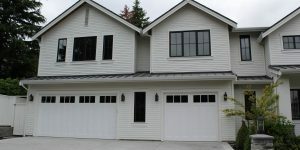 Doors come with a white polyester finish and can be easily field painted to match any home’s exterior. The Tri Tech™ is at the top end of our Therma Tech™ line of insulated raised steel panel steel doors with an R 16 insulating value. It uses high density polystyrene in its 3” thick sandwich construction and features a flexible joint seal and natural Thermal Break. Four wood grain textured panel designs are available: Contemporary Flush (Model 608), Traditional Panel or short raised panel (Model 618), Ranch Panel (Model 628) and Carriage Panel (Model 60C). Doors are hot-dipped galvanized, primed then pre-painted in one of four standard colors: Bright White, Almond, Sandstone, and Brown. Our Carriage Panel (Model 60C) and Ranch Panel (Model 628) are now both available in a Dark and Medium wood grain finish. 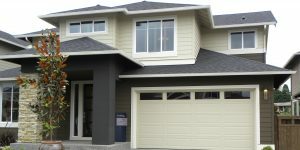 Choose from a wide selection of window designs. 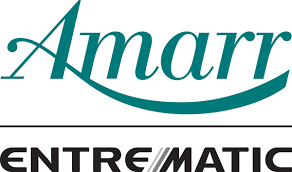 The Therma Max™ R 12 is third in our Therma Tech™ line of insulated raised steel panel steel doors. It uses high density polystyrene insulation in its sandwich construction and has a flexible joint seal and natural Thermal Break. Four wood grain textured panel designs are available: Contemporary Flush (Model 208TM), Traditional Panel or short raised panel (Model 218TM), Ranch Panel (Model 228TM) and Carriage Panel (Model 20CTM). Doors are hot-dipped galvanized, primed then pre-painted in one of four standard colors: Bright White, Almond, Sandstone, and Brown. 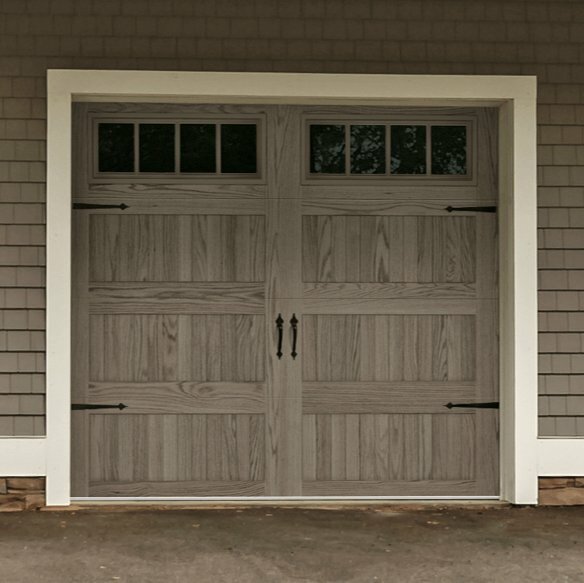 Our Carriage Panel (Model 20CTM) and Ranch Panel (Model 228TM) are both now available in a Dark and Medium wood grain finish. 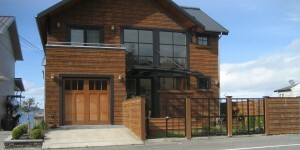 Choose from a wide selection of window designs. 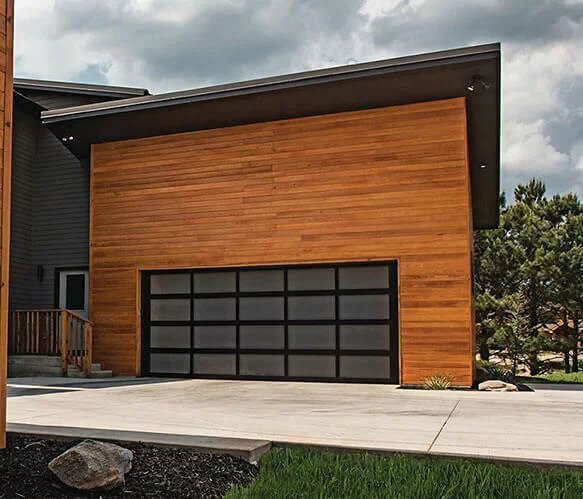 The Therma Tech™ R 9 is first in our Therma Tech™ line of insulated raised steel panel steel doors that adds to Northwest Door’s reputation for quality, value and stylish designs. Four wood grain textured panel designs are available; Contemporary Flush (Model 108), Traditional Panel or short raised panel (Model 118), Ranch Panel (Model 128) and Carriage Panel (Model 10C). Doors are hot-dipped galvanized, primed then pre-painted in one of four standard colors: Bright White, Almond, Sandstone, and Brown. Our Carriage Panel (Model 10C) and Ranch Panel (Model 128) are now both available in a Dark and Medium wood grain finish. Choose from a wide selection of window designs. 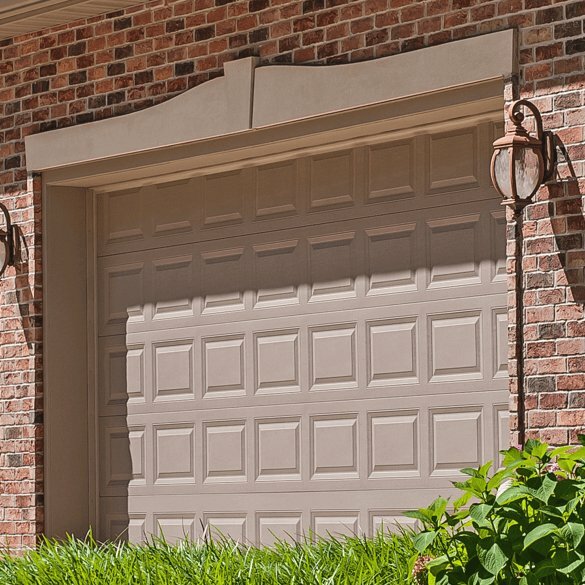 Raised Panel Steel Doors offer beauty that’s maintenance free and at an economical price. Two types are available (500 Series, 25 Ga.) and (400 Series, 24 Ga.). Both 500 and 400 Series are wood grain textured and have three types of panels: our standard raised panel, Traditional Panel (Models 501, 501i); a longer raised panel, Ranch Panel (Models 502 and 502i) and a carriage style panel, Carriage Panel (Models 50C and 50Ci). Ten optional window designs are available. Four standard colors are available for the 500 Series: Bright White, Almond, Sandstone and Brown. The 400 Series is only available in Bright White. 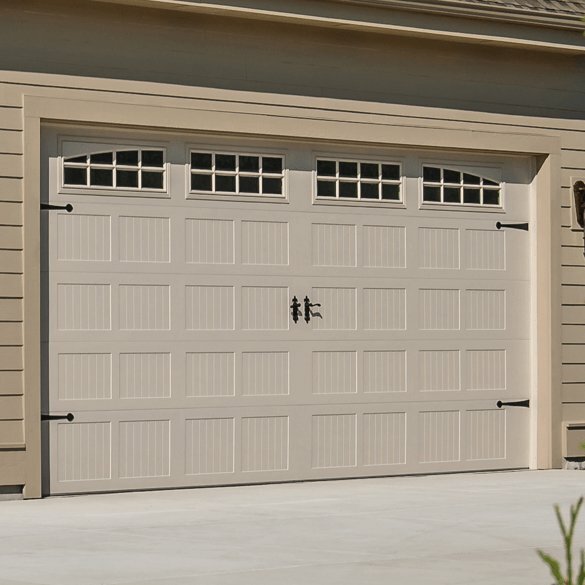 Heritage Classic™ C-Series is one Northwest Door’s finest handcrafted wood carriage house style garage doors. The C-Series has an additional layer of T&G wood on the door face of the E-Series doors. The 1×4, 1×6 or 1×8 T&G wood can run vertically, horizontally, diagonally or in a herringbone configuration to your specifications. Skilled artisans can replicate most any design that you or your architect can create. Choose from select woods like Cedar, Tight Knot Cedar, Redwood, Knotty Alder, VG Fir, Meranti and other fine woods.